Cementation previously carried out pre-production underground development work for New Gold at its New Afton site near Kamloops, British Columbia. In 2010 Cementation returned to New Afton to carry out a second scope of work involving the installation of the main conveyor system as well as construction and installation of the temporary crusher, and to provide support for installation of the gyratory crusher underground. 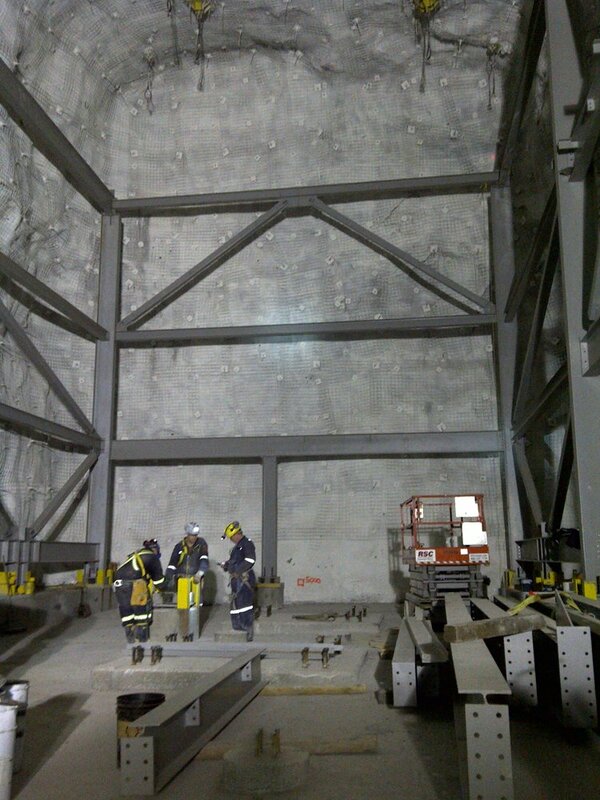 Cementation’s ability to do all aspects of the project including excavation has been beneficial. The conveyor installation was commissioned and immediately began transporting ore and waste for the mine. Cementation's raise boring crews also drilled and reamed several raises on site, while engineering support was provided on an as needed basis during mine development and construction.